Welcome to the world of Mitty. We are a team behind the Mitty app and here is a short story about how our project was created. Let’s remember those good old days when our ancestors were travelling by feet, spending weeks on a journey from one village to another. Then someone discovered a horse, awesome, now it takes only a couple of days to get to the closest city. Fast forward and thankfully those days have passed, travelling time was significantly cut by trains, journeys are now also much more comfortable. A little after the trains, Henry Ford invented the first car and people can now enjoy some road trips. Finally, it is the year 2018 and we have planes making it possible for us to have breakfast in London and finish the day with a dinner in Hong Kong. Throughout the centuries visionaries who were creating first cars and planes or that guy who was the first one to jump on the horse were driven by two principals: making it easier to travel and making it faster to travel. Travelling is still both exciting and exhausting and every year we are finding ways to make it swifter and more convenient. Technological innovation is what drives our world forward. From technological progress of the 20th century with physical innovations such as cars, planes and even rockets, we now moved to digital technological progress of the 21st century. These days, smartphones and applications are the tools we use to make our lives easier. So the marriage of digital technology and travel industry was the most logical thing to make our travels easier. We happily use applications to purchase tickets, track our flights, get a taxi and navigate around a new travel destination. We will all agree that travelling should be more about relaxing and enjoying your time, and less about confusingly navigating through the new city’s jungles. However, when you find yourself in a new place, you probably have already spent hours researching the local apps, or about to spend your precious time on this. Here is the case — every city you go to plays by its own rules. It has its own transport system, restaurant chains and taxi supplier. If in 2000 you would buy a guide before coming to the city, in 2018 you have apps navigating and directing you. A perfectly organized system with one major flaw — it became too big. In 2018 there are approximately 4 million applications flooding our phones. It became harder and longer to find the right tool in this application overload. The tools to make our travels easier are definitely there, but the time it takes for us to find them is all-consuming. Apps taking over the world. 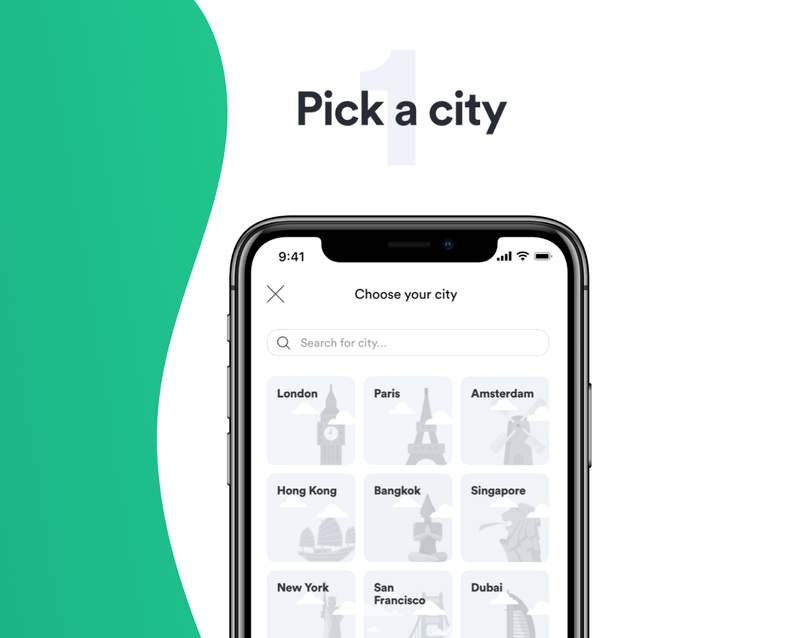 You are probably very familiar with the essential apps in your city, but when you travel to a new place, you find yourself absolutely vulnerable and clueless. 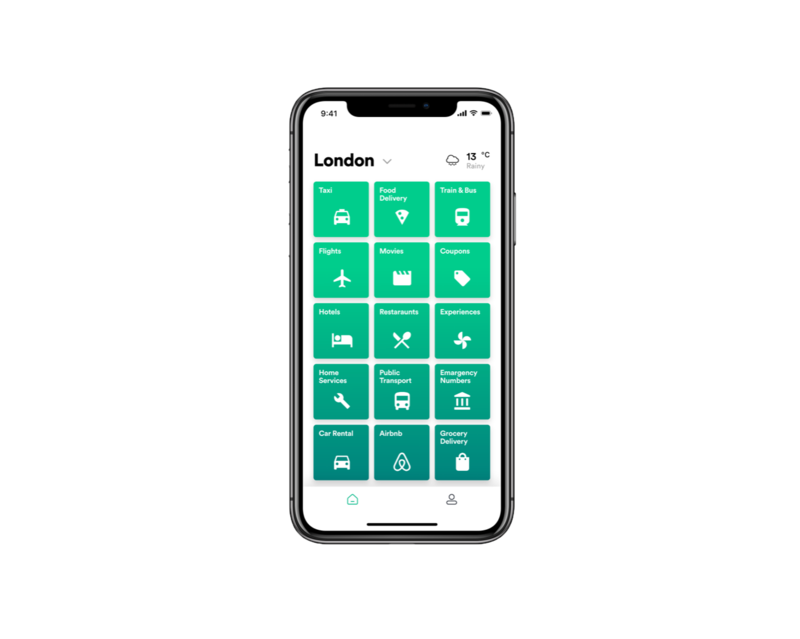 For instance: whenever we got friends coming to London, the first thing we advise them to download is a Citymapper app to ease their time navigating the town. Another thing you’ll come across is familiar apps that are non-existent in the place you are travelling to. There are other apps doing the same thing but having different names and focusing on their market. If you live in the States you probably never heard about Deliveroo, if you live in the UK you probably never heard about Foodpanda. If you live in Singapore, you never heard of Postmates. Deliveroo, Foodpanda and Postmates are all food delivery apps, but they are located on different continents, on the opposite sides of the world. We are a team of developers who are fed up with spending too much time on googling basic things while we are supposed to enjoy traveling. We wanted to reduce the hassle and help travelers enjoy their hard-earned vacations. So today, we’re introducing a new mobile app to help you use the best services in the new city instantly. Combined with our belief that an individual does not need hundreds of apps and will eventually use 10–15 most essential ones, we thought having all the services in one place is a way to go. 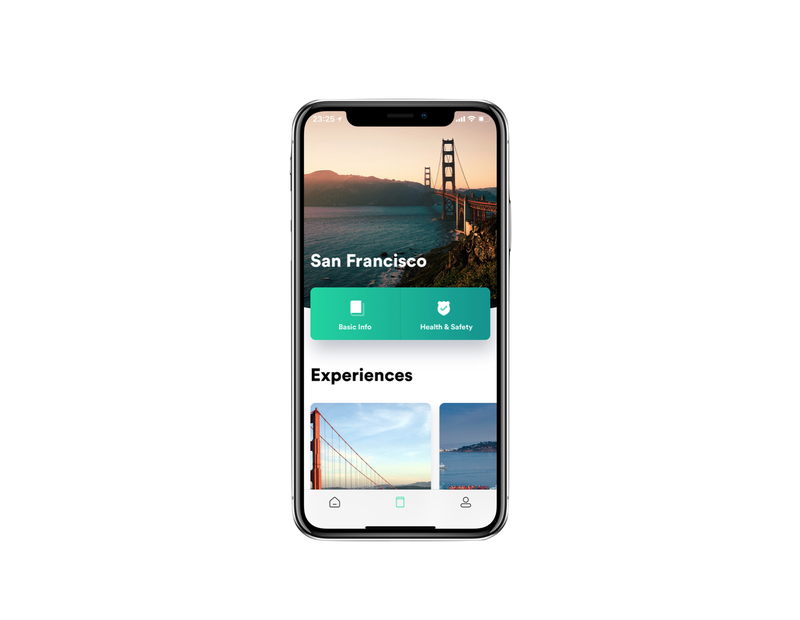 Mitty is a Swiss-army knife travel app. Think of it as a local person, the best you can find, that will show you all the best services that the world’s most visited cities have to offer. 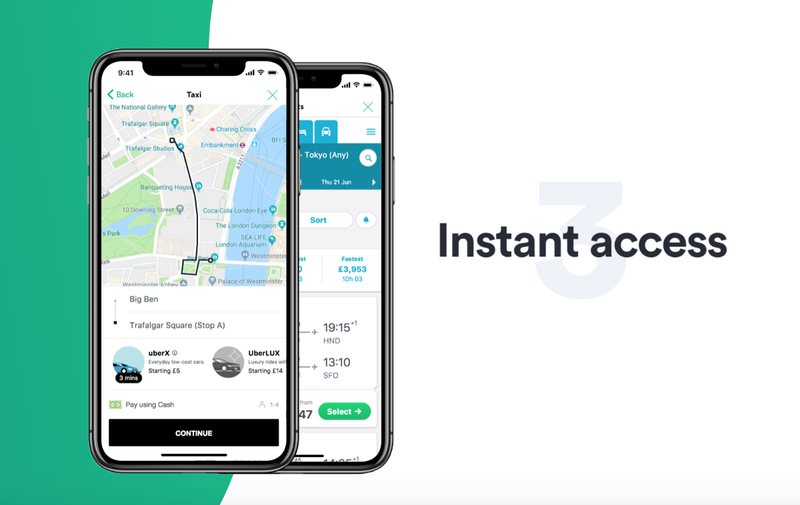 Using instant app technology, Mitty provides the user with a single and most convenient option to:  Order food delivery,  Book train tickets,  Book a hotel,  Browse and buy experiences,  Use public Transport,  Request a taxi,  Rent a car, ✈️ Book a flight, ️ Reserve a restaurant,  Buy cinema ticket,  Browse coupons, ️ Order grocery delivery, ⛱️ Purchase travel insurance and Call emergency numbers. All you need, including the weather forecast (It might seem sensible to pack flip-flops to London during summertime, but London has a plan of its own), is gathered in one place which keeps your mind and your desktop clean. 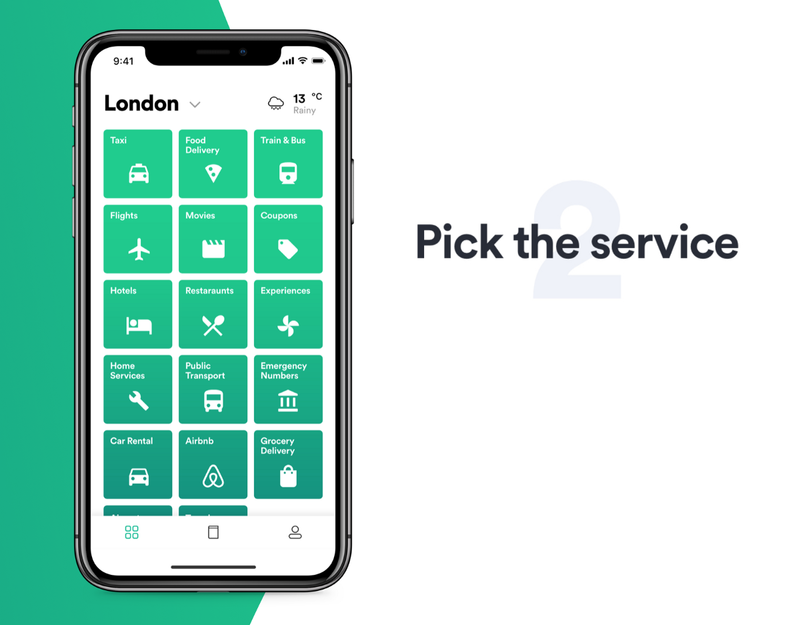 We decided to integrate local leaders for each service category so that travellers don’t need to decide on which service provider to choose from. Our methodology takes into consideration following factors: popularity, interface design, functionality. For example, OpenTable will be preferred restaurant booking platform for American and European cities, whereas Zomato will be preferred in Dubai since it has significantly more restaurants to choose from in that region. We are open to suggestions from the community, so users can add a suggestion for better service provider inside the app in accounts tab. We have started with 11 most visited cities + San Francisco (just because we love you tech guys). We promise to regularly add more cities, so let us know in the comments where you are planning to head off this year and we will make sure that Mitty is working there. After that Mitty opens 15 services to choose from. Availability of services will change depending on location. Apparently, there is no railway in Dubai, hence, no train booking app. In other cases, additional tabs will be shown. We also installed Emergency Numbers tab, just in case. It also shows your address wherever you are. After that — magic happens. You are directed to the best available service provider in the city in the respective category. No need go to AppStore, type the name of the app and wait until it will be downloaded. Just tap and the service is open. You can delete all the other apps clattering your desktop and save some storage for your photos. We have also added basic information about the city and created a list of attractions you shouldn’t miss. Read through our handy guide and book your tickets straight away. Vacations are a chance to get some rest, recharge and experience new places and cultures. Let Mitty make your traveling easier, faster and more enjoyable. Why ride a horse, when you can have a plane? We are featured on Product Hunt! Join the discussion. Available on iOS. Coming soon to Android.